Prevention plays a large role in achieving the smile of your dreams. 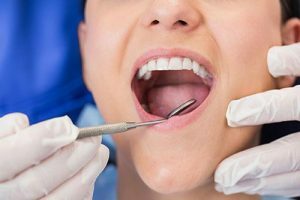 That’s why at Ria Family Dental we put great emphasis on our preventive dentistry services and encourage everyone to embrace these dental services for better and brighter pearly whites. Take a look at our preventive dentistry services. Your oral health affects your overall wellbeing. Hence by keeping good oral hygiene, your health also improves. At Ria Family Dental we provide comprehensive oral hygiene instructions and a personalised program for you to follow. Your number one defense against dental problems is good oral hygiene. However, to properly care for your pearly whites, you also need the help of your dentist. For instance, not all areas in the mouth can be properly reached and brushed, nor can you correctly diagnose other dental problems. At Ria Family Dental, we recommend two dental trips annually, during which we can keep tabs on your oral health. Dental scale and clean, also called deep cleaning, is the thorough removal of all tartar buildup in the mouth. It removes tartar not only from the teeth, but also from below the gumline. In addition to regular dental check ups, dental sealants can also help keep teeth from decay. Dental sealants are thin plastic, protective coatings, which cover the molars keeping cavities from setting in. Tooth fillings are resin material bonded to a tooth to fill in cracks and other damage. They have preventive and restorative benefits. They stop the progress of damage and restore strength. Oral health awareness isn’t for adults alone. Children should also be made aware of the importance and benefits of good oral health. Ria Family Dental dedicate ourselves to creating a welcoming environment for patients of all ages. We understand the special needs of children and how their dental experiences today will affect their future dental visits. Hence we take great care to ensure each dental visit is something to look forward to! The child dental benefits schedule or the CDBS is a government-funded scheme through Medicare which covers $1000 worth of children’s dentistry treatment for children aged 2-17 years old in a span of two calendar years. Your trusted Ria Family Dental believes in making quality dental care accessible to everyone, young and old alike. In partnership with the Australian government and Medicare, we are glad to provide quality children’s dentistry services through the Child Dental Benefits Schedule. A mouthguard is dental equipment worn in the mouth by professional athletes and sports-enthusiasts during sports activities. It protects the teeth and the soft tissues by cushioning blows. You don’t have to say No! to fun. With custom-fitted mouthguards from Ria Family Dental, your pearly whites are protected. So you’re always ready for your group pictures. Improve your teeth’s chances for a lifelong healthier state with preventive dentistry services at Ria Family Dental.